Posted by B. Daniel Blatt at 8:18 pm - May 4, 2012. Jennifer Rubin quotes the presumptive Republican nominee himself as saying that his team “wanted him to stay with our team. He’s a very accomplished spokesperson, and we select people not based upon their ethnicity or their sexual preference or their gender but upon their capability.” Emphasis added. Unlike yours truly who has blogged on this topic as a gay conservative, trying to imagine what it might be like for one of our number to go through what Grenell been going through, Rubin has actually talked to “many players involved” and has learned . . .
. . . that Grenell was getting flak principally from the far right[*], but also from the left challenging how a gay man in favor of gay marriage could work for a conservative (on foreign policy, mind you) whose position is the same as the president’s (neither is in favor of gay marriage). He perceived the Romney camp was keeping him out of sight. The Romney camp thought it was successfully calming the waters, and senior officials may have been only dimly aware of the angst Grenell was going through. But Grenell was right. He had become the story. If Romney or Fehrnstrom had said what they did today before Grenell quit, he might have been understandably reassured. But the firestorm wouldn’t have ended, as we see from a new round of speculation and stories. Emphasis added. Read the whole thing. Only dimly aware of what Grenell was going through. Sometimes, we do forget that people in the public eye have feelings. (Lends credence to my notion of the personal toll this might have been (was?) taking on him.) No matter how strong you think you are, no matter how thick your skin, attacks in public fora do sting, particularly the first time you hear them. It takes time to learn to distances yourself from some of the nastiness prevalent today in our political discourse. Campaign officials may just not have been aware of the angst caused by the vitriol coming from a handful of extreme social conservatives. Posted by Bruce Carroll at 11:33 am - May 4, 2012. I mean: what do Republicans call a gay man with neoconservative passion, a committed relationship and personal courage? People said I read this “the wrong way”… that Crazy Andy was calling gay conservatives “faggots”. Oh really? Well the only other way to read it is to suggest that Sully has magical sentient powers that allows him to read minds of every single Republican Party honcho in the nation. Either way you read it — Sullivan is nuts. Posted by Bruce Carroll at 11:24 am - May 4, 2012. In economics, stagflation is a situation in which the inflation rate is high and the economic growth rate slows down and unemployment remains steadily high. Well, under Barack Obama’s economic policies passed by the Democrat-controlled Congress from 2009-10…. we at least have two of those three. And inflation is higher than most of us have been used to since at least the 1990s. Bob Krumm says the USA is now Stag-Nation. This is what a stagnant economy looks like. The gain of 115,000 jobs is less than enough to keep up with population increases, and was below the median economic forecast for April. 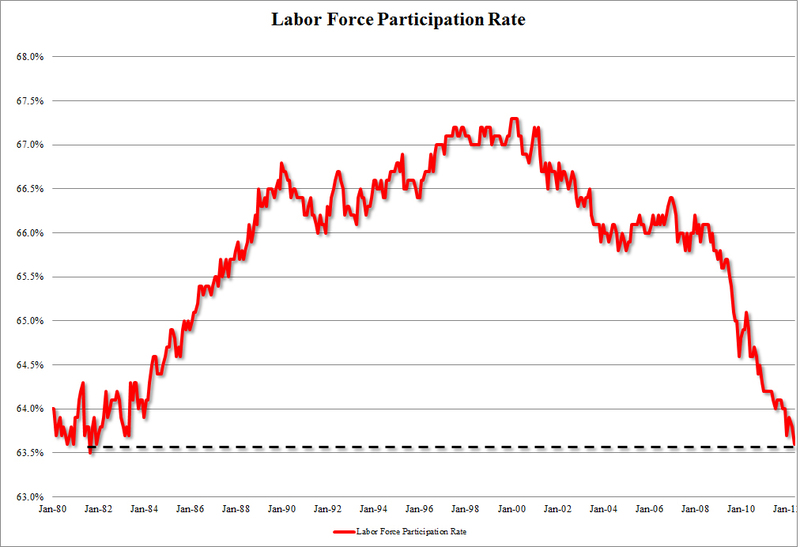 The only reason that the unemployment rate “fell” to 8.1% is because the labor force participation rate keeps dropping. If you stop looking for work, you aren’t unemployed. But you’re not employed either. You’re just “missing.” You don’t count. Welcome to the country we now live in: the Stag-Nation. Both the number of unemployed persons (12.5 million) and the unemployment rate (8.1 percent) changed little in April. Among the major worker groups, the unemployment rates for adult men (7.5 percent), adult women (7.4 percent), teenagers (24.9 percent), whites (7.4 percent), and Hispanics (10.3 percent) showed little or no change in April, while the rate for blacks (13.0 percent) declined over the month. The jobless rate for Asians was 5.2 percent in April (not seasonally adjusted), little changed from a year earlier. The number of long-term unemployed (those jobless for 27 weeks and over) was little changed at 5.1 million in April. These individuals made up 41.3 percent of the unemployed. Over the year, the number of long-term unemployedhas fallen by 759,000. 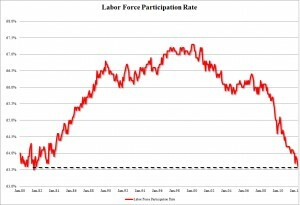 The civilian labor force participation rate declined in April to 63.6 percent, while the employment-population ratio, at 58.4 percent, changed little. Whether Obama & his team studied Martian or Marxist Applied Economics, one thing is clear: They didn’t learn any lessons from the unprecedented US economic expansion that resulted in the 1981-83 economic policies pushed through a Democrat Congress by Ronald Reagan. Posted by B. Daniel Blatt at 2:48 am - May 4, 2012. Obama has headlined 132 re-election fundraisers for his campaign and the Democratic Party since early last year, according to tracking by ABC News and U.S. Naval Academy political scientist Brendan Doherty. President George W. Bush attended 86 fundraisers for his re-election campaign, the Republican Party or both groups during his first term. Presidents Bill Clinton and George H.W. Bush appeared at a total of 70 and 24, respectively. And as Obama travels the country – or across the street, as was the case last night – taxpayers foot most of the bill, experts say. If the Democrat holds just 4o more fundraisers, he’ll double W’s tally. Well, at least we know that there are some things Obama can accomplish. For this post-partisan president, it’s all politics all the time. SOMEWHAT RELATED: Michael Barone: Fundraising, Chicago-Style: The president calls for transparency in all campaigns but his own. Posted by B. Daniel Blatt at 2:47 am - May 4, 2012. There seems to be a link between gay conservatives gaining attention in the blogosphere and our volume of mean-spirited commentary. Just a hunch, but one rooted in our experiences as gay conservative bloggers. Posted by B. Daniel Blatt at 2:15 am - May 4, 2012. In order to ridicule Joe Biden, you just need quote the man — or run the tape. The greatest confrontation between women ever caught on film? Posted by B. Daniel Blatt at 1:48 am - May 4, 2012. I am not entirely comfortable with the term, “catfight” in describing the confrontation between these two Titanesses of the silver screen–but best screen confrontation between women on screen was not as catchy — and quite clunky a title. Well, I found a better; it may lack the punch of the original, but at least I’m comfortable with it. Here, we see Irene Papas, one of few actresses to actually get the woman whose face launched a thousand ships. Helen of Argos, later of Troy, finally of Argos is a far more complex woman than the screen beauty portrayed in most screen versions of the Trojan War. In a man’s world, she knows how to use her feminine charms to win her way, even if it means defying her patron deity, Aphrodite. I do not say this lightly: Papas is the greatest living actress. And when the divine Miss Kate plays Helen’s erstwhile mother-in-law, Hecuba, in The Trojan Women their confrontation just sizzles. In a war fought over Helen, Hecuba lost her husband and her sons, all that was dear to her. And in the clip above, we believe that when Hepburn, er, Hecuba, asks Menelaus to kill Helen, she really wants to see Papas dead. The face launched a thousand ships, carrying warriors which would kill thousands of Trojan men.